Haridwar is considered as one of the most toured destinations and also, a religious escape for many spiritual enthusiasts. For a travel fanatic, Haridwar has always been an abode for unwinding. The best time to visit the place is in monsoons. 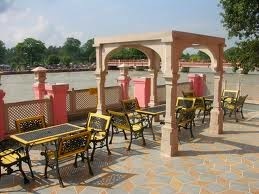 Talking about the Places to see in Haridwar, Harki Pauri is one of the most sacred ghats. It is believed that it is the spot where the ‘amrit’ (nectar) fell while being carried by Garuda after the Samudra Manthan. Another reason to visit Haridwar is the Kumbha Mela which is one of the grandest fair with people coming from all over India and the world. Apart from this, the rush of pilgrims never abates in Haridwar, as people come to wash off their sins by taking a dip in the holy Ganges. Booking hotels in Haridwar is not a hard task as there is a wide range of hotels lined up in this land of God. Visitors and pilgrims can choose from a wide range of accommodation options available basis their preferences and budgets . For a laid back and a tranquil vacation, you can always pay a visit to this abode of peace. So plan your weekend and travel to the holy land of Haridwar which will serve you in the best way!